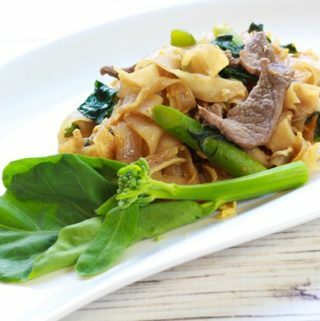 Last Updated: April 17, 2019 · Published: January 21, 2019 By: Asian Caucasian 16 Comments This post may contain affiliate links or sponsored content. I’m attracted to pretty food. Plain and simple! 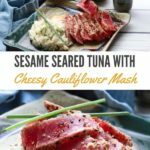 So this gorgeous Sesame Seared Tuna with Cheesy Cauliflower Mash is my everything, and it’s not only pretty but incredibly healthy and easy to prepare! This post is sponsored in by Okydish and NutriMill. Start with sushi-grade tuna (I usually get mine at Whole Foods or The Fresh Market). I’ve combined both white and black sesame seeds for the dredging but you can use whatever you can find. I’ve even used the Trader Joe’s bagel seasoning! (There are no rules.) The tuna sears up very quickly and you want it to be very pink inside. Of course, that’s my preference so if you’re skittish about raw fish go ahead and cook it longer. 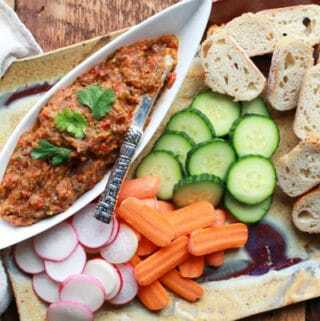 The side of cauliflower mash is to die for! The addition of the cream cheese really turns this healthy side dish into the creamiest, most luxurious of veggies. I swear, you would never know it’s not mashed potatoes! I cut up a head of cauliflower into small-ish florets. You can buy the pre-cut package if you’re not feelin’ it! I put the cauliflower florets in my Okydish steamer insert and placed it in the bottom of my Instant Pot (pressure cooker) with one cup of water. Then I used the “steamer” setting on the pressure cooker and it took about 10 minutes to perfectly steamed cauliflower! Then it’s time to puree. 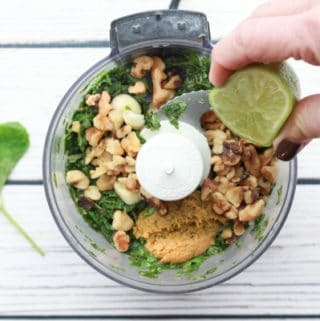 I used my new NutriMill Artiste Kitchen Stand Mixer to blend up these ingredients perfectly! The cauliflower mash came out so creamy and tasty that I could have eaten the entire batch! Really had to restrain myself peeps. Start with a nice firm head of cauliflower. Cut it up into florets and get it ready to steam. I used the steamer basket from Okydish and placed it at the bottom of my Instant Pot with one cup of water. 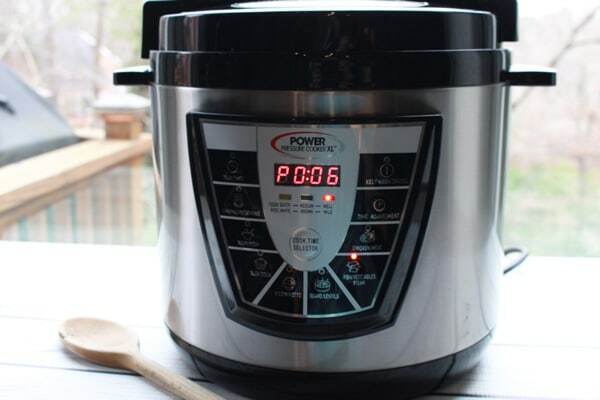 Use the steamer setting on your Instant Pot pressure cooker. It should take about 10 minutes to steam the cauliflower. 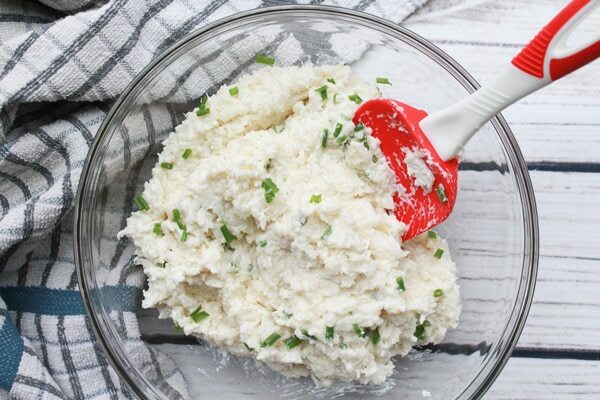 Look how creamy this Cheesy Cauliflower Mash turned out! The taste was magnificent! 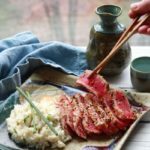 Sushi-grade tuna steaks sear up very quickly. Brush them with some canola oil on both sides and sprinkle with salt and pepper. Dredge them in a mixture of white and black sesame seed for a nice crunch. Make sure to coat all sides! Use a heavy skillet or cast iron pan and get it very hot before searing using just a tablespoon of canola oil in the pan. Sear the tuna on each side for about 2 minutes or to your liking. I love it very pink in the middle, but you might like it cooked longer. Let it rest on a cutting board a few minutes before slicing. Slice the tuna on the bias. I like to do thin slices and lay them on top of the cauliflower mash. It’s SO good! Look at those beautiful pink slices of Sesame Seared Tuna! This literally melts in your mouth! 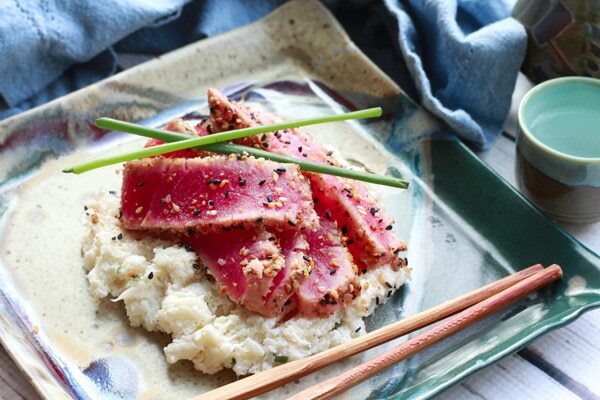 Serve the Sesame Seared Tuna either on the side or on top of the Cheesy Cauliflower Mash. Either way, this is a gorgeous and delicious plate of food! If you can’t find sushi-grade tuna, you may want to use seared salmon instead. Salmon can be served a little pink inside without it having to be sushi-grade. Of course, some people refuse to eat it that way! However, you can cook the tuna through until slightly pink inside if it’s not sushi-grade. (I get my fresh tuna steaks at Costco when I prepare it this way). 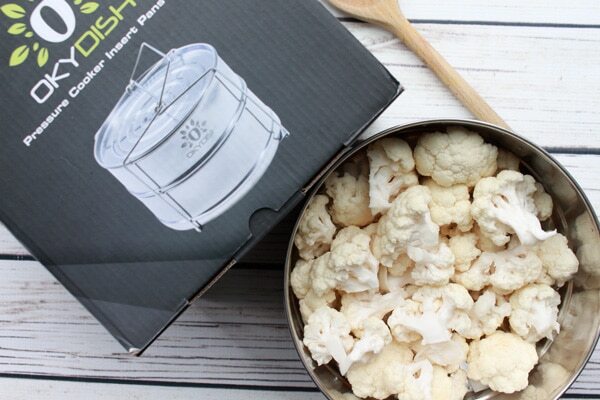 If you don’t have an Instant Pot, use a stove-top steamer for the cauliflower instead! It will come out just as good! As always, make sure to fully drain the liquid from the steamed cauliflower. Using a heavy cast iron pan or skillet will sear the tuna perfectly! You’ll want to get it screaming hot first with just a little bit of the oil. When the oil is shimmering it’s time to add the tuna steaks. The tuna will sear up very quickly, about two minutes on each side (depending on how cooked you like it). Let the tuna rest on a cutting board for about 5 minutes before slicing. WANT MORE? If you like this recipe, you’re going to love my Easy Cauliflower Fried Rice with Crab. This healthier version of fried rice will make you wonder why you weren’t using riced cauliflower all along! 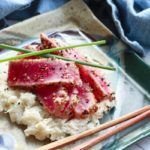 Melt-in-your-mouth Sesame Seared Tuna is paired with a cheesy cauliflower mash made in the Instant Pot! Spread the white and black sesame seeds on the bottom of a shallow dish. Pat the tuna steaks with paper towels to dry. 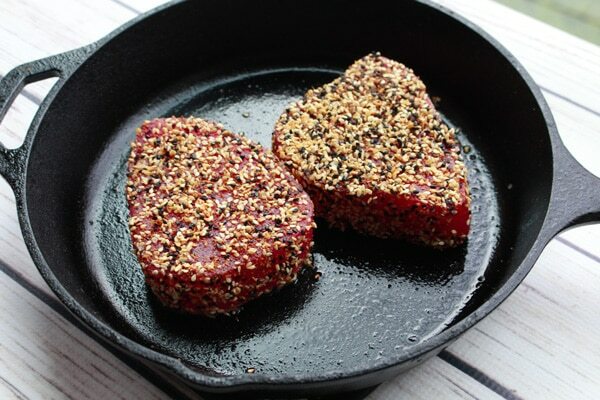 Brush each tuna steak with 1 tablespoon canola oil on both sides and sprinkle with salt and pepper on both sides. Dredge each piece in the sesame seeds on all sides to thoroughly coat. Heat a heavy skillet or cast iron pan on high heat with remaining canola oil until oil starts to wave. Cook the tuna steaks on both sides for approximately 2 minutes until golden brown. Remove from the pan and let rest on a cutting board. When at room temperature, slice the tuna on the bias into about 1/2 thick slices. Add a steamer basket to the bottom of an Instant Pot. Add one cup of water. Seal the lid and set the Instant Pot on steamer setting for 10 minutes. 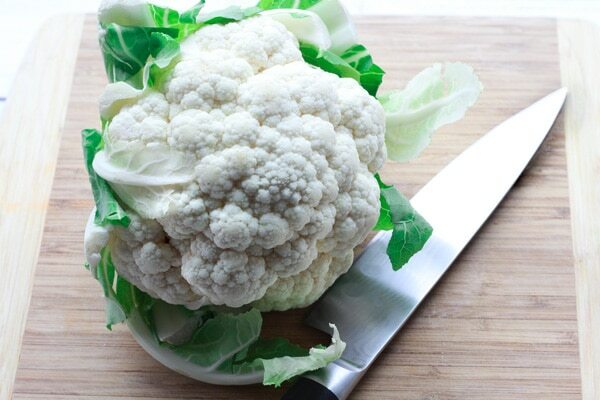 Drain any liquid off the cauliflower florets and transfer to a large mixing bowl or food processor. Puree the cauliflower with a mixer or in the food processor, adding in the butter, cream cheese, half-and-half, and salt and pepper until creamy and smooth. Toss in the chives and more half-and-half if not creamy enough. 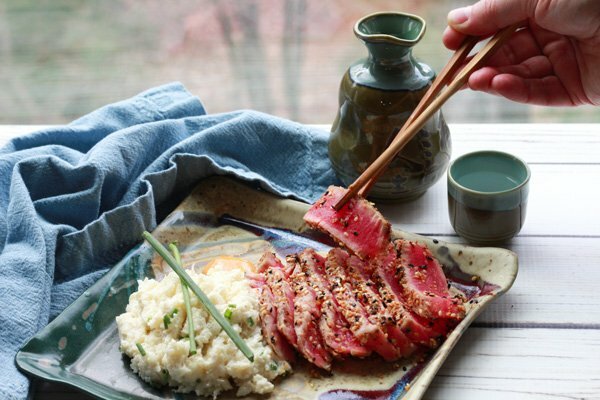 Serve the seared tuna slices over the cauliflower mash, or on the side and garnish with more chives. This looks really amazing! Love the combination of flavors here! Thanks, Toni! These cauliflower florets are so beautiful together and super tasty when roasted with this special sauce! 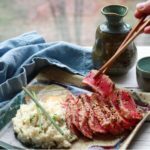 I love seared tuna, and would have never thought to pair it with a cheesy mash — this is a must try! This was such a nice surprise when I paired these two together. They taste a lot like the shrimp and grits pairing, and who doesn’t love that? I’m actually not trained to cook fish, so sometimes I feel overwhelmed by the idea of cooking something like a tuna steak. I will follow your steps to get it right! It’s really hard to mess up this seared tuna (unless you cook it too long). Usually comes out perfectly pink on the inside and seared on the outside. Hope it works out! That tuna is seared perfectly! I love the pairing of the cauliflower mash too! I must also comment on that bowl/plate, it is just gorgeous! Thanks, Beth! This dish tastes a lot like shrimp and grits, but tuna and cauli mash. I swear it’s that good! 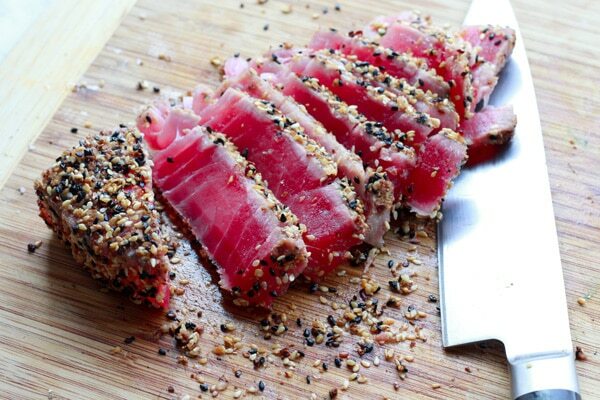 Your seared tuna looks gorgeous! 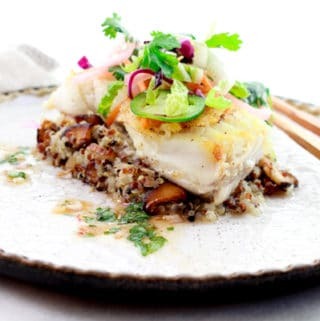 I really wish I had somewhere near where I lived to buy good quality fish so I could have a go at a recipe like this. It’s very tempting! 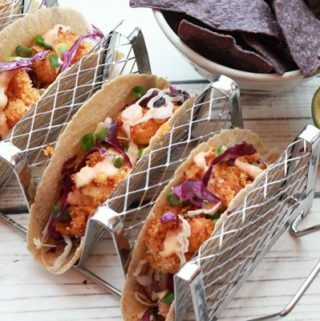 Have you tried the seafood freezer section of your grocery store? Do you have a Costco near you? I get Ahi tuna fresh at Costco and use that quite a bit. Such pretty pictures. I can already taste it. 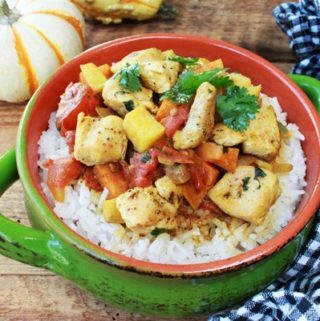 I haven’t tried cauliflower mash yet, I keep avoiding it 🙈 yours sounds delicious! Pinning for later. 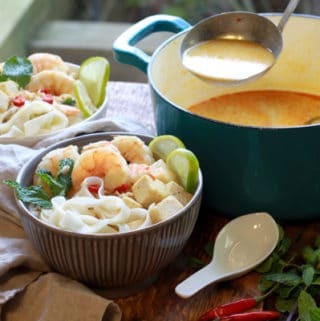 You really need to try the cauli mash, this recipe tastes a lot like cheesy grits! Same consistency. You would never know you’re eating healthy! This is so up my alley. I’m pinning to make this weekend!! I love everything about it – and since my husband and I are both watching our carbs, it’s perfect timing. We are watching our carbs too (New Year’s resolution and all) so it’s is a great meal for this. But it’s so tasty you won’t even miss the carbs! 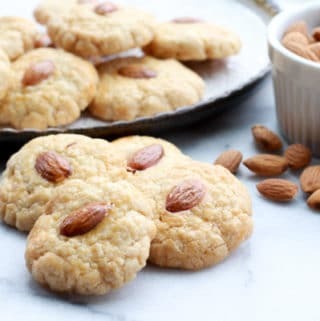 OMG, Julie, you’re going to love this recipe! The cauli mash is killer! And the tuna will become one of your faves. Let me know how it turns out! 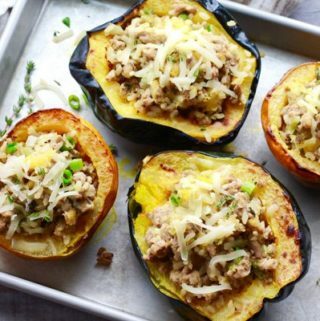 These are two of my favorite things in one delish recipe! I have some tuna in the freezer ready to do this with. Can’t wait to try.